At YSI we're interested in more than just developing world-class instruments — we're also here to help you along every step of your project. Our skilled support staff can help you make the most of your equipment and, in many cases, are cross-trained to quickly get to the solutions you need. From making the right purchasing decisions to guiding your team in the field — we have someone with the knowledge to help make your project a success. Below you can find more information about each support department and the knowledgeable YSI staff who make it all possible. They are eager to support your product over the course of its life-cycle. Cynthia is the Director of Customer Services, which includes Order Management, Technical Support/Application Specialist, and Bench Services Repair. Our Technical Support team is a diverse group of professionals with backgrounds as varied as the issues they field. Their main role is to support our customers with any concerns they might have about our instruments, but they do much more. Support also assists customers with demonstrations of equipment, customer training, installation support, and fact-checks many of our technical documents. If you have a specific technical question about any of our products, these are the people to ask. Tom has been with YSI for nearly 10 years and has a background in Environmental Science. He worked for 4 years as a field technician for an environmental lab and then several more years running storm water treatment facilities at an airport. 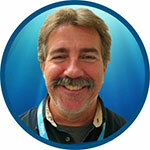 Tom specializes in supporting our EXO line of instruments and manages the Tech Support Team. 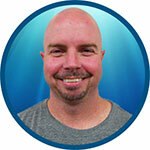 Matt has been with YSI for 13 years and has a background in electronics. He worked in the YSI repair center for over 3 years, then an additional 3+ years as the Service and Operations Manager of the YSI Gulf Coast office. Matt specializes in supporting our EXO and WaterLog lines of equipment. Sam joined the Technical Support team in March 2015. She has her B.Sc. in Environmental Science from Ohio State University, and previously worked as an environmental specialist in the oil and gas industry. Sam specializes in supporting the EXO product line. Ben holds a Bachelor’s of Science in Chemistry from Wright State. He spent his college days working at an academic chemistry lab and a pharmacy before starting at YSI in 2014. Ben specializes in supporting YSI’s lab instrumentation. Laurel joined YSI in May of 2016 and has her B.S. in Wildlife & Fisheries Management from Ohio State University. Prior to YSI Laurel worked for the Ohio EPA as an intern collecting water quality data and for the Cleveland Metroparks as a Seasonal Hydrologist. Laurel specializes in the support of water quality instruments as well as the IQ SensorNet and aquaculture instruments. Steve has been with YSI since March 2005, and has an Associate degree in Electronics and Applied Science. He worked in YSI's Service Department for over 10 years before moving to tech support. Steve specializes in the support of water quality instrumentation as well as the IQ SensorNet and aquaculture instruments. Amelia started working at YSI in late 2016. She has a Bachelor’s degree in Business from DeVry University and an Associate’s Degree in Paralegal Studies from Fortis College. She has 16 years of customer service experience and her primary work focus with YSI include due diligence, customer database entry, and operator duties. Our Order Management team is the front line in getting you the equipment you need to get the job done. They handle just about everything from getting you a verbal quote to getting your product out the door. Beyond that, they are some serious globe-trotters — ensuring our exports are internationally complaint and tracking the movement of our products to customers all over the world. Do you have a question about pricing, product availability or lead times? This is the crew to ask. 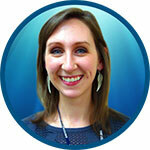 Lindsay joined YSI as a member of the customer service team in 2013. From there she moved to operations in a planning role for the EXO and Waterlog product lines before re-joining the customer service team as the lead in October 2016. She has a BS from Wright State and a Master’s Degree from OU. 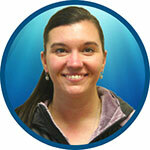 Prior to YSI Lindsay was a Varsity Volleyball Coach and worked in administrative and customer support roles. Sheldon joined the Customer Service Team at YSI in 2013. He has a background in both international and domestic inside sales and customer service that spans over 12 years in different industries. 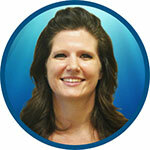 Meredeth began working in the Utah office in 2011 and joined the Customer Service Team in 2013. Prior to joining YSI, Meredeth worked in advertising for a newspaper for ten years. Outside of work she enjoys yoga and camping. Kathleen joined the YSI customer service team in 2017. She has a B.A. in Political Science/Business from Wright State University and has worked in a customer service role for over 20 years prior to coming to YSI. Betsy started joined the Customer Service Team at YSI in 2014. 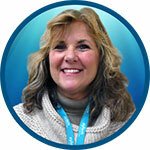 Prior to joining YSI, Betsy worked in several support roles for manufacturers for nineteen years. She earned her Bachelor of Business Administration degree from Ohio University. Brooke joined the YSI customer service team in 2018. She has a B.A. in Business from University of Toledo and an Associate of Business and Marketing from the University of Northwestern Ohio. 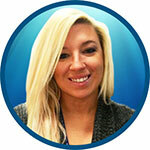 Brooke worked in procurement and program management prior to coming to YSI. Tia joined the Customer Service team in February of 2017. Prior to joining YSI, she worked in a pharmacy for five years. She has her B.Sc. in Earth and Environmental Sciences from Wright State University. 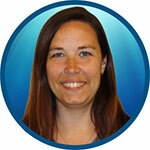 Heather joined YSI in 2003 as a Repair admin, later becoming the Repair Team Lead in 2008. In August 2013, she transitioned into her current role as project manager supporting all of customer service. Her main area of focus is efficiency gains and continuous improvement … which in turn will improve the customer experience. Many of our instruments are intended to be used in some of the harshest conditions known, but even the best designed equipment needs a little tender-loving-care. Enter our Repair Center staff, who have deep working knowledge of all the bits and pieces that make a YSI instrument work at its best. Send your equipment in for a regular check-up and let our experienced crew bring it back up to factory specification with preventive maintenance. Moreover, the repair team can also upgrade, calibrate, and otherwise ensure that everything is running nice and smooth with your YSI product. Bill started with YSI in 1991 as a Repair Technician. He has held several challenging positions within the company such as R&D Test Technician, Technical Sales and Support Specialist, Repair Center Team Leader and Systems Engineer. In 2013, Bill became the Repair Center Manager. He has an Associate Degree in Industrial Engineering from Morehead State University, and an Associate Degree in Electronic Engineering Technology from ITT Technical Institute, Dayton OH. Staci has been with YSI since September 2012. Her responsibilities for Repair Center operations include receiving and picking orders, parts stocking and ordering, and running daily and weekly reports. 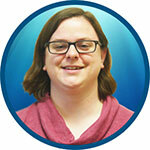 Katie started at YSI as an assembler in 2011. She moved into the Administrative role within the Repair Center in late 2015. Her responsibilities within the Repair Center include receiving and picking orders, parts stocking and ordering, running daily and weekly reports, and communicating with customers in regard to their repairs. Katie earned a bachelor’s degree from The University of Dayton in 2011. Jason has been with YSI since March 2013. He specializes in the service of all YSI WQS and Life Science products, as well as products for the AADI and MJK lines. Jason has earned a B.Sc. and M.S. in Geological Science from Wright State University and the University of Akron. Joe has been with YSI since November 2000. He specializes in the service of all 6-Series and EXO products, and is also familiar with the WQS products. Paul has been with YSI since August 2014. He services all YSI WQS and Life Science products; as well as specializing in IQ SensorNet products. Tom started at DAA in April 2010, and then moved to Ohio to work at YSI in January 2014. He specializes in the service of all WaterLog products, and he is also the primary technician responsible for maintaining the sensor calibration chambers for the WaterLog products. Greg earned an Associate’s degree in Computer and Electronics Engineering in 2010. He has been with YSI since May 2011, and specializes in the service of all 6-Series and EXO products. Away from work, Greg loves reading, music, cooking, and learning new things. Mark has been with YSI since October 2014. He is a veteran of the United States Air Force, previously worked for Intel Corporation, and has a B.A. in Marketing. He specializes in the service of all 6-Series and EXO products. Eric has been with YSI since May 2011. He specializes in the service of all 6-Series and EXO products. 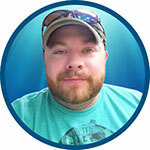 Chris started at YSI in 2011 as an assembler/technician. He moved to production technician for 1 year before moving to the repair center as a repair technician. He has a bachelor’s degree in computer science from DeVry University and have been working in electronics manufacturing for 14 years.